David ‘Pick Withers’ is born on 4th April, 1948 in Leicester, England. He was the original drummer for the world renowned band, Dire Straits and played on their first four albums, which included hit singles such as ‘Sultans of Swing’, ‘Romeo & Juliet’ and ‘Private Investigations’. He first played a drum in the Boy’s Brigade and was given a few rudimentary drum lessons by the band master, Barry Bond, who owned the local bicycle shop. He became a professional musician at the age of 17, joining a band called The Berkeley Squares when they went to Germany. After six months of touring in Germany, the band returned to England, struggling to maintain their professional status, whence Pick jumped ship and joined a band called the Primitives, who went on to become very successful in Italy. In 1969, Pick returned to London where he stayed with The Doc Thomas Group, whom he befriended in Italy. Unbeknown to Pick, they were now named Mott The Hoople and it was whilst staying with them, attending various auditions in London, they pointed out an advert in the Melody Maker which turned out to be a gig with a band called Spring. He then became a member of Spring who secured a record contract with the RCA/Neon label. The band recorded and released one album, which became a collector’s item, recorded at the legendary Rockfield Studios in Monmouth. They had a cult following and Pick is very proud of the work he did with Spring to this day. One funny anecdote: when Dire Straits were on their first American tour, a fan came into the dressing room clutching a Spring album, which he duly wanted signed, but only Pick as Dire Straits didn’t interest him! 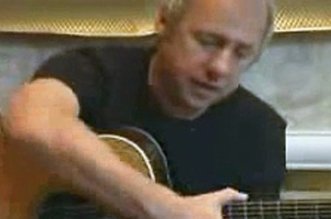 Whilst at Rockfield Studios, Pick also recorded with the following: Michael Chapman – ‘Wrecked Again’, Andy Fairweather-Lowe, Nick Lowe, Del Shannon, Hobo, The Shortwave Band, Dave Edmunds, Foghat, Ian Anderson, Bob Dylan – ‘Slow Train Coming’, Brewer’s Droop (co-incidentally, Mark Knopfler later joined this band). Pick has fond memories of Rockfield Studios, being a member of their football team, herding the cows for milking (it was originally a farm) and living in a studio environment enabled him to undertake a more rigorous practice regime. For a short but concentrated period, Pick deputized with Brinsley Schwartz who both played in their own right and backed Dave Edmunds on a British tour, which featured Dr. Feelgood as the opening act. Moving up to London again, Pick became involved with the folk/rock scene and worked with Bert Jansch, Ralph McTell and Magna Carta, all of whom he made studio albums with. He also worked, in this period, with Rab Noakes continuing a rhythm section partnership with Rod Clements of Lindisfarne fame. 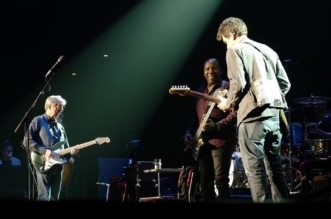 Just prior to meeting Mark Knopfler, Pick was playing with Charlie Dore’s Back Pocket doing the same venues that he would later revisit with the embryonic Dire Straits. 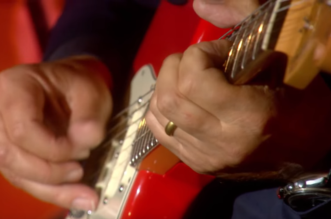 The rest is history – Dire Straits went on to become one of the biggest rock bands in the world. 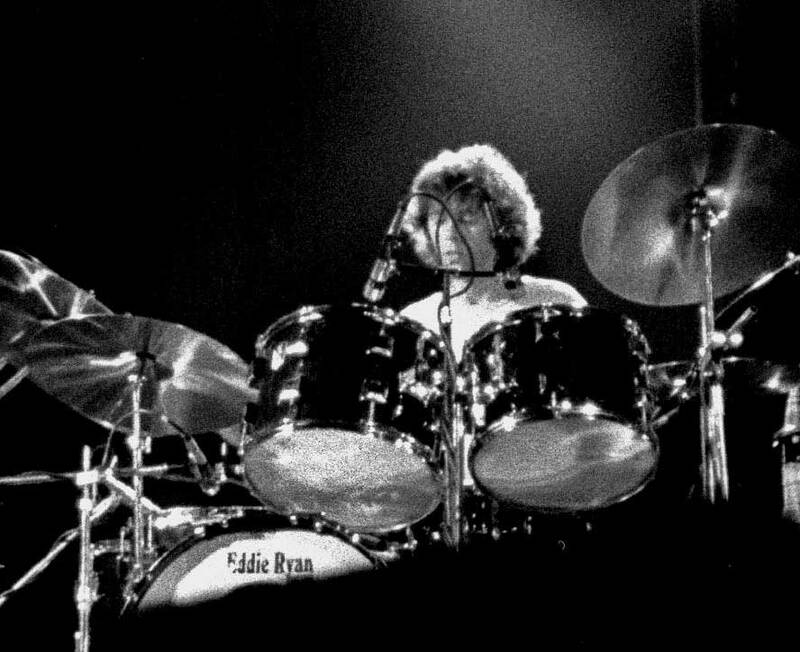 pick was a founder member and stayed for six years, playing on four studio albums plus one live recording, ‘Live at the BBC’, and a compilation album was released just after he left the band entitled ‘Money for Nothing’, most of which were recordings he played on. Whilst with Dire Straits, Pick played on the ‘Slow Train Coming’ album by Bob Dylan with wonderful musicians such as Barry Becket, Tim Drummond and produced by the revered Jerry Wexler (founder of Atlantic Records). 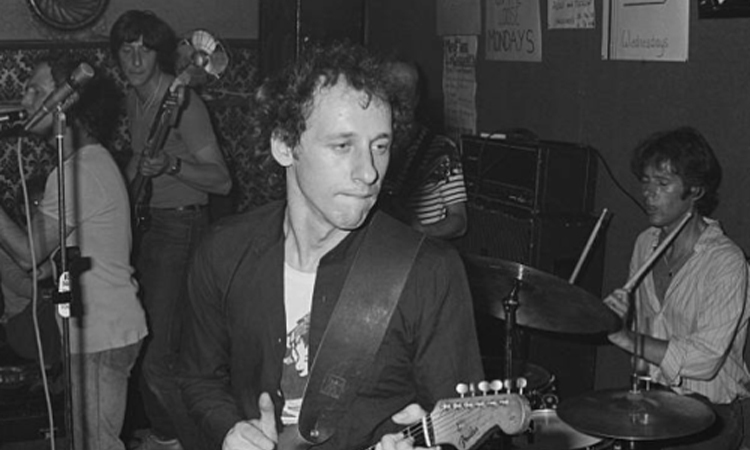 Withers played on the Dire Straits albums, Dire Straits (1978), Communiqué (1979), Making Movies (1980) and Love Over Gold (1982). 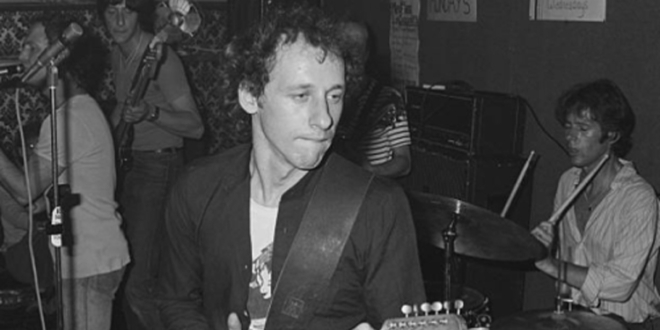 Pick’s style with Dire Straits was referred to in the magazine, International Musician, December 1980: ‘Water of Love from the first Dire Straits album provides the clearest example of Withers’ role as mood maker. With the snares turned off, he carries the beat on the hi-hat while playing off-beats on the toms. On the choruses, the off-beats are switched to the hi-hat. The effect is a floating swirl of rhythm with the song developing over it’. After leaving Dire Straits, Pick worked with many great musicians such as Gerry Rafferty, Joan Baez, Robert Plant, Phil Carmen, The Blues Band (Paul Jones), Dennis LeCorriere, Dave Kelly Band, Gary Fletcher Band and many more.